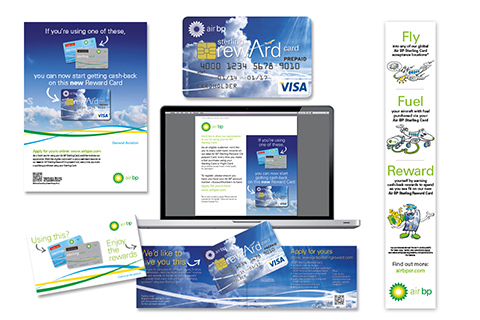 We were asked to come up with a name and brand identity for the first ever loyalty programme for the general aviation market, rewarding Air BP Sterling Card custom. The creative was developed to include advertising to encourage application, as well as printed and online information to explain the benefits. From ‘coming soon’ to launch announcement, we created a campaign that was ‘quirky’ yet clear, to communicate the benefits of being both a Sterling Card and Reward Card holder.